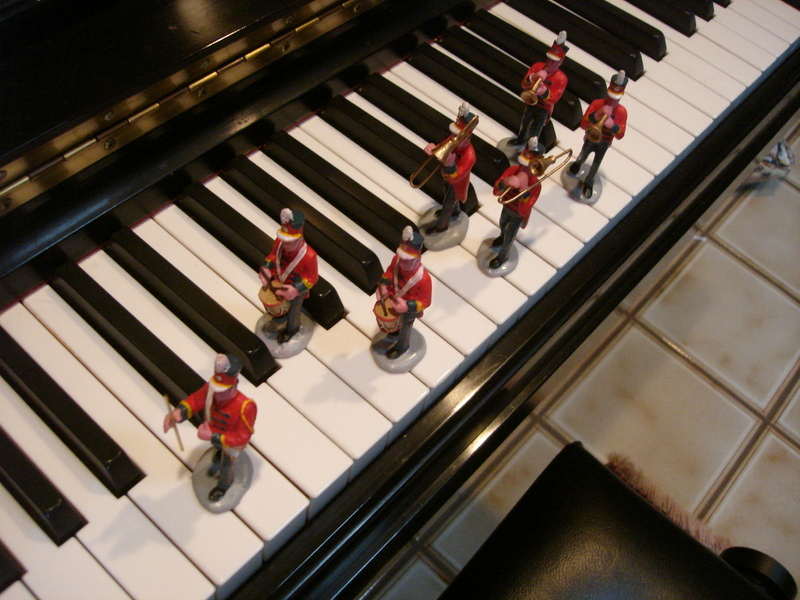 I’m excited to announce that my compositions will be heard in two upcoming concerts. This month, on April 27, The MTDuo, Mary Rowell and Tatiana Kolchanova will be playing my “Five Canons for Two Violins” at Portland’s Community Music Center (3350 SE Francis Street). Then on June 1, The Camas-Washougal Orchestra will perform two short pieces that I wrote and arranged for the orchestra: “Quintessence” and “March of the Ants”. At Camas United Methodist Church. Recently Tatiana Kolchanova and Mary Rowell performed my Five Canons for two violins at a house concert in the Portland area. Now you can see them on YouTube. Thank you Mary and Tatiana! 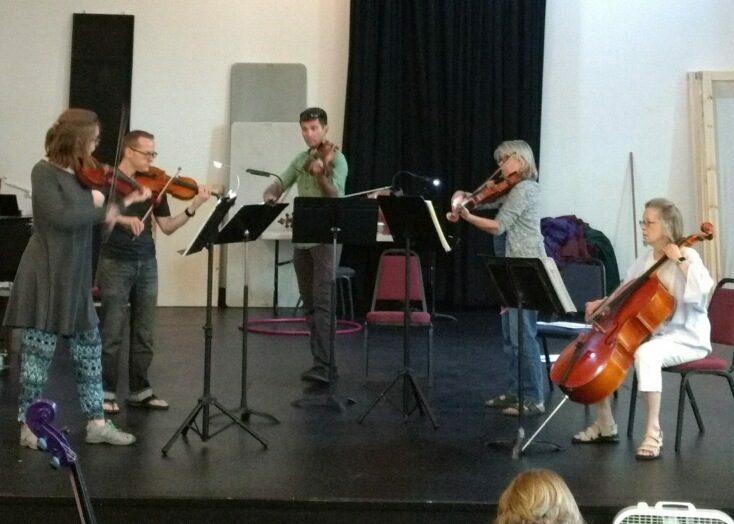 In addition to playing music by Mozart, Beethoven and Jörg Widmoser, we played a short piece I wrote for strings, “At the End of the Day”, and a new string quartet by Portland composer and quartet member, Mark Woodward. 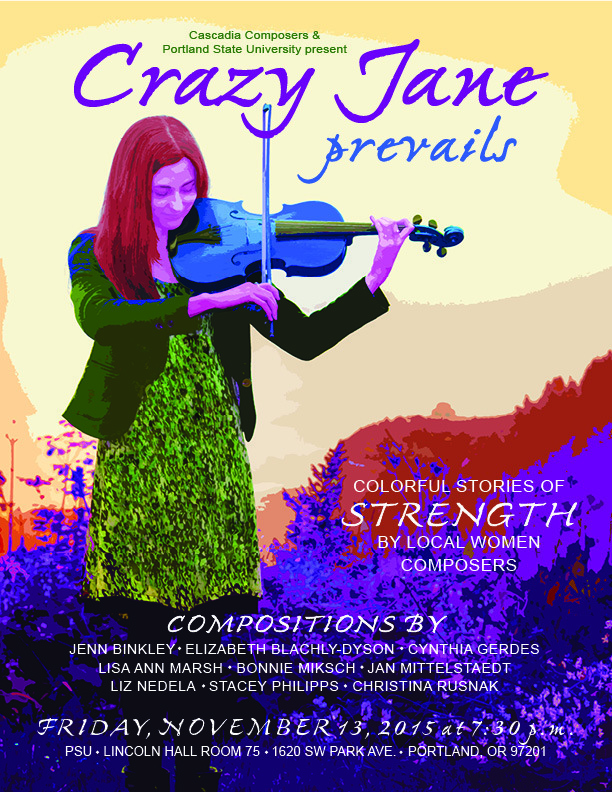 I’m looking forward to next month’s concert, Crazy Jane Prevails, featuring music by women composers from the Pacific Northwest. 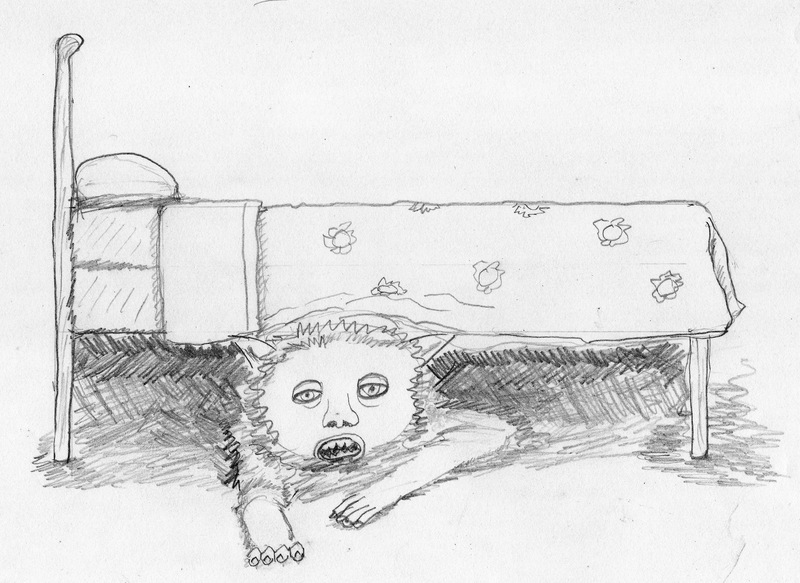 The first rehearsal of my piece, “Fairy Bells and the Calypso Orchid” was on Monday and it went very well.